The Kappa Alpha Society was originally founded in 1825 at Union College. Today, KA is an international community with a robust program and nine active chapters. KA is a literary society that focuses on the development of its undergraduate members and nurtures life-long friendships among its vibrant alumni network. 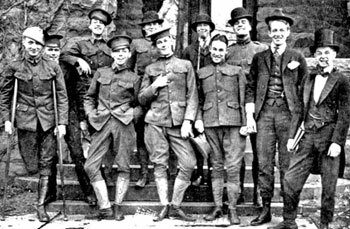 Click here to learn more about the history of the Kappa Alpha Society. Join The Kappa Alpha Society at the Princeton Club for our New York City Dinner. Details are available here. Proudly demonstrate your Kappa Alpha spirit by purchasing and wearing KA apparel and accessories. Browse the merchandise (login required). Kappa Alpha Sister Keys (pictured here), are the newest additions to the collection, and were featured in the spring 2012 newsletter. If you're interested in purchasing a Sister Key or Sister Key pin, log in to the website and visit our "Merchandise" page to order one online. The summer 2018 edition of The Kap Key is the most recent addition to the “newsletter archive.” Download it now, or log in to the website to download PDFs from past publications. The newsletter is a great way to stay up to date with KA news. It publishes updates from The Executive Council; The John Hart Hunter Educational Foundation, Inc.; The John Hart Hunter Educational (Canada) Foundation; all the chapters; and much more. Like all Kaps, John Hart Hunter was a free-thinker and life-long lover of literature. 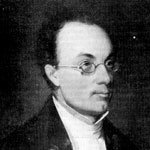 Visit About John Hart Hunter to learn more about our founder and the namesake of our educational foundation. Log in to the site today to explore the members-only content for information on upcoming events, access to past KA newsletters, the online KA songbook, photo galleries of events, and more! If you are a member, but you don't know your login credentials, click here for help. Support The Kappa Alpha Society and its members by making an online gift to The John Hart Hunter Educational Foundation, Inc. (U.S. tax deductible), The John Hart Hunter Educational (Canada) Foundation (qualified Canadian charitable tax credit), or The Executive Council (not tax deductible).